(Each cabin has its own bath and toilet). 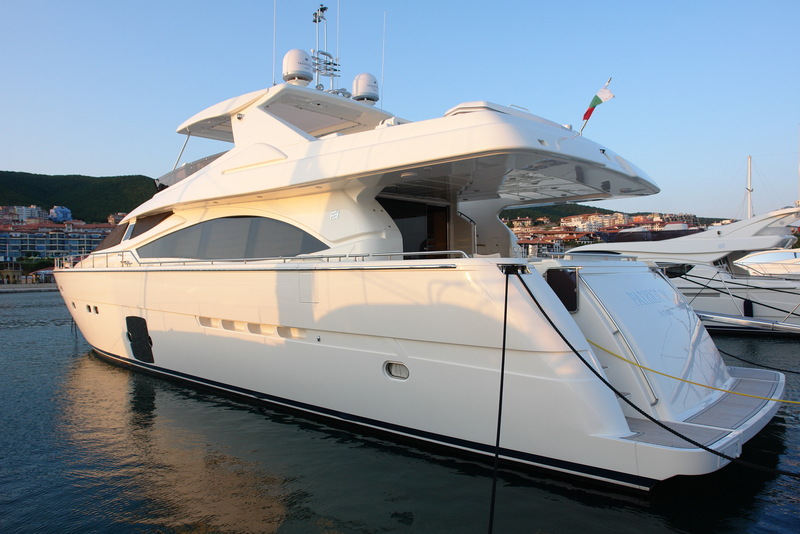 This is the biggest and most luxurious yacht under the Bulgarian Flag, custom -ordered by its owners back in 2008. 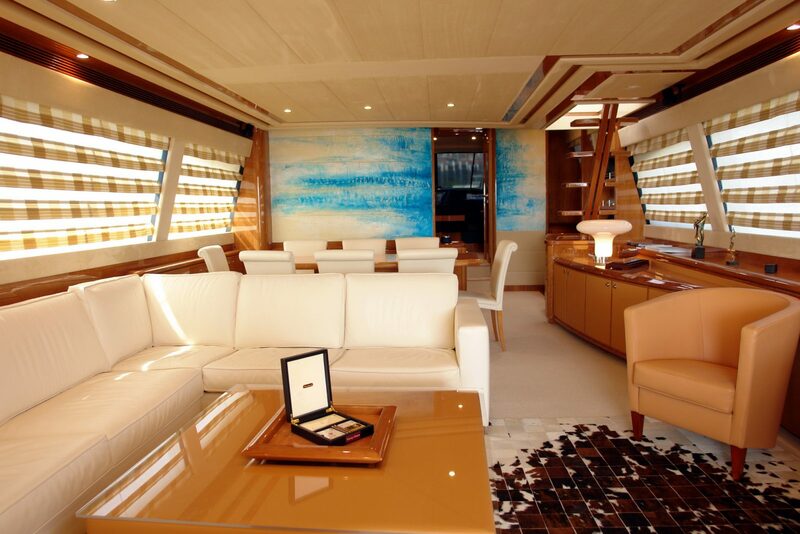 This is only the second Ferretti Yacht in the world, the first belonging to the company owner, with inner walls painted by the artist Vittoria Vanghelis, authenticated by her signature in the salon. 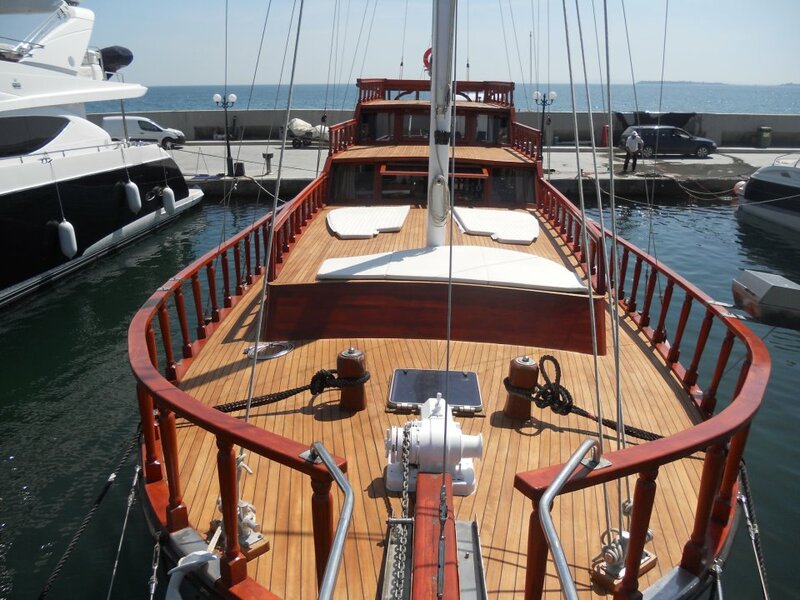 The yacht is named The Patriot V and can reach Istanbul for in 4 hours, from the Dinevi Marina. 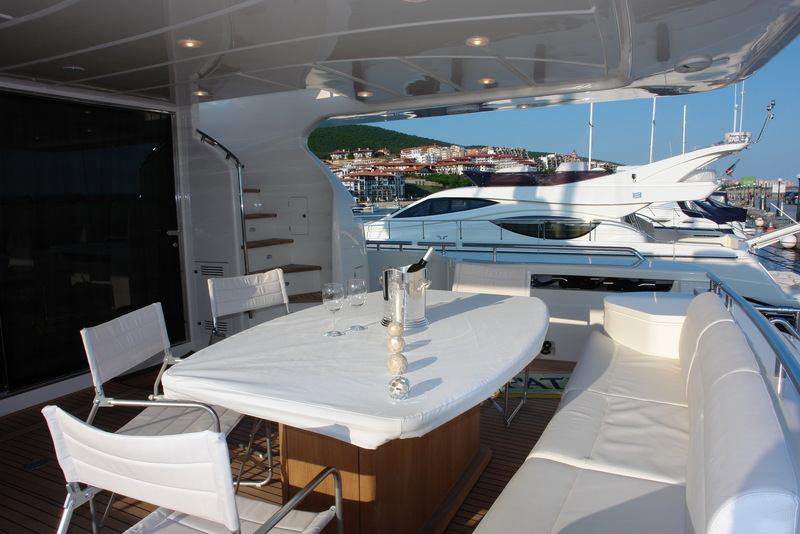 The yacht is fully air-conditioned and has a special gyro stabilizing system that decreases the lateral tilt by 50%. Permanent internet connection via satellite is available. 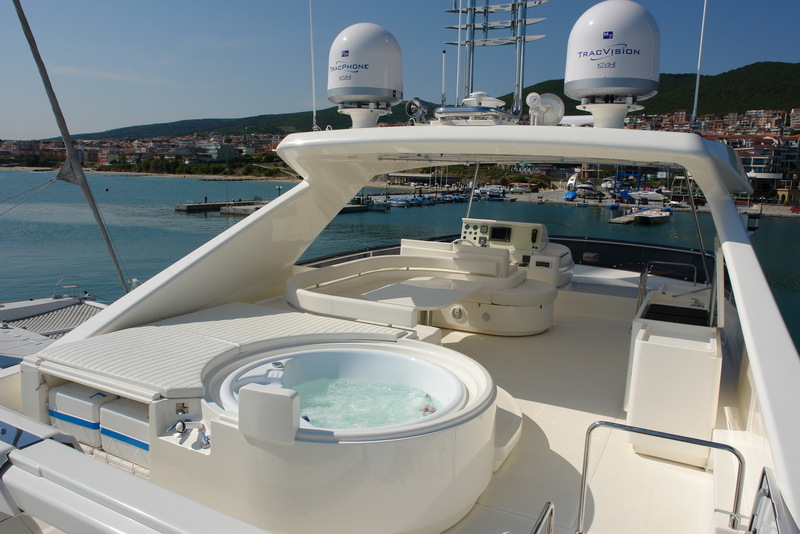 All furniture on board is in white and there is a Jacuzzi on the upper deck. All bedrooms have panoramic sea views. The master- bedroom has French windows, which are also installed in the bathroom, so that the sea views can be enjoyed from both the bedroom and the bathtub. (Each cabin has its own bath and toilet.). 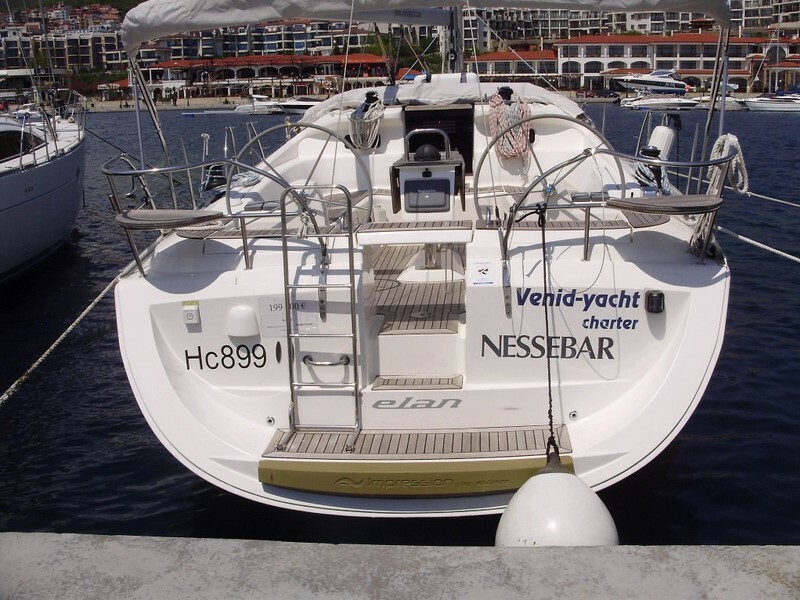 The ELAN 434 is a sailing boat, perfect for both coastal sea trips and for long distance sailing. 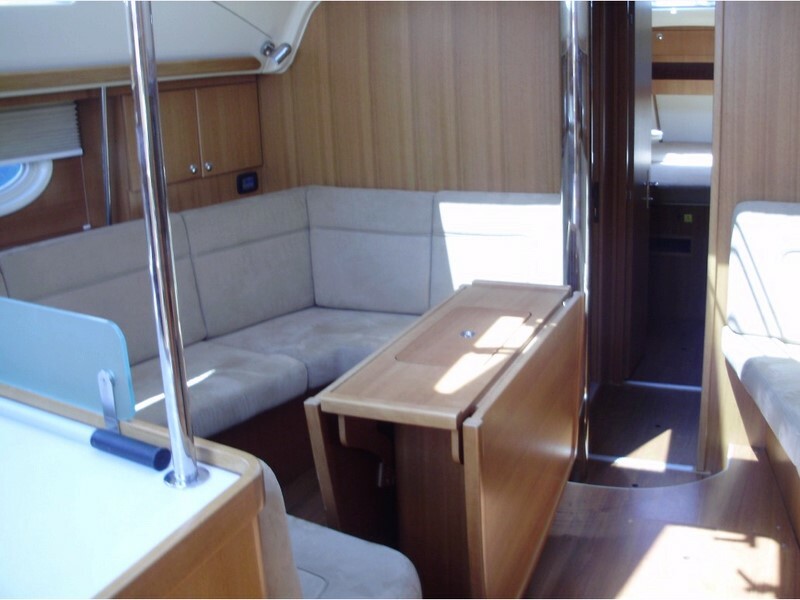 The yacht is seaworthy and stable even with high waves of 5-6m. The yacht’s navigation can be done by 2 people. 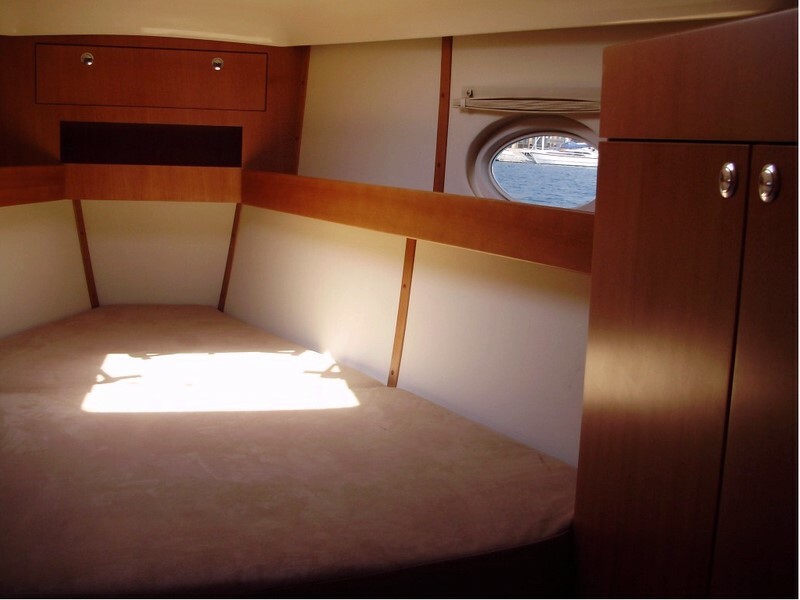 A comfortable stay on board is designed for 6-8 people, with sufficient space to allow easy and comfortable interaction and dining. The kitchen is excellent and well equipped. The boat has GPS, autopilot, chart plotter, electronic maps, all navigation devices, along with radar and satellite disaster security devices. 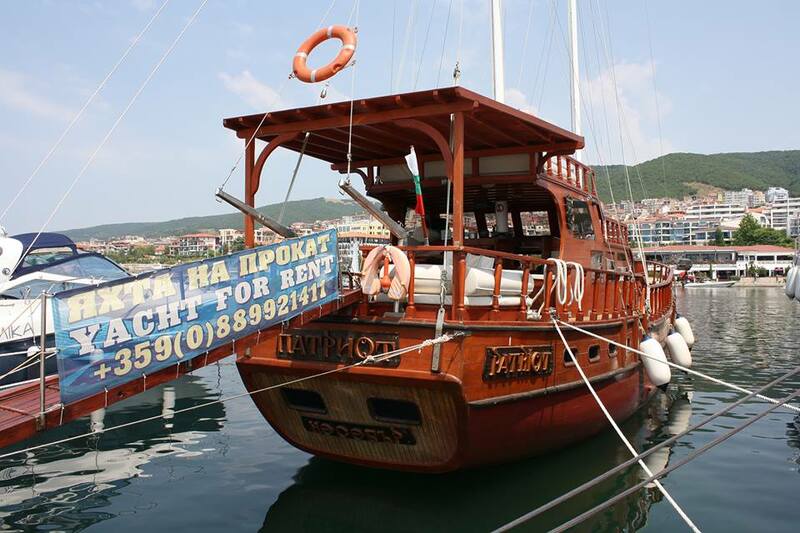 The wooden yacht, PATRIOT is among the sights in The Dinevi Marina in St.Vlas and is an ideal option for sea trips in the gulf, for companies with a sense of adventure. The Patriot can host up to 12 passengers on board, all from one company, for which a special sailing route and menu is prepared in advance. 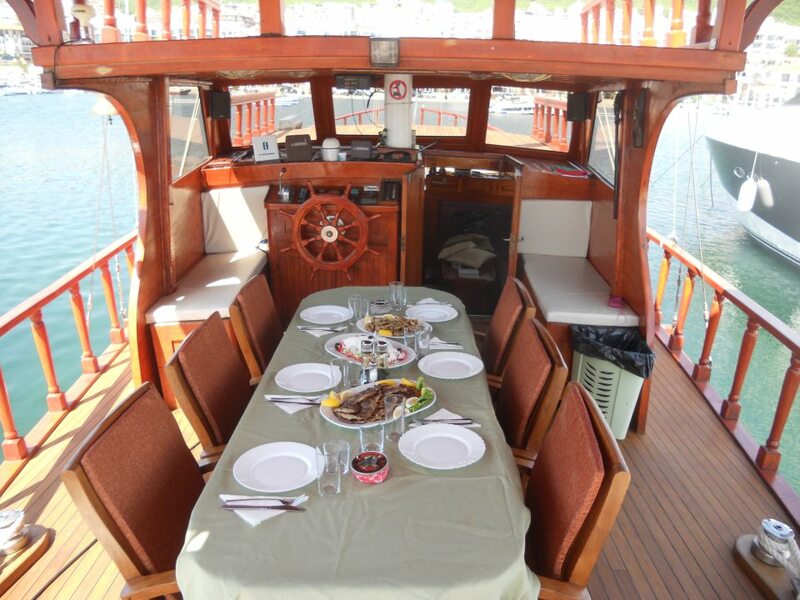 One of the attractions on board is the custom-made barbeque, attached to the right sideboard, where the crew prepare delicious fish or meat barbeques. 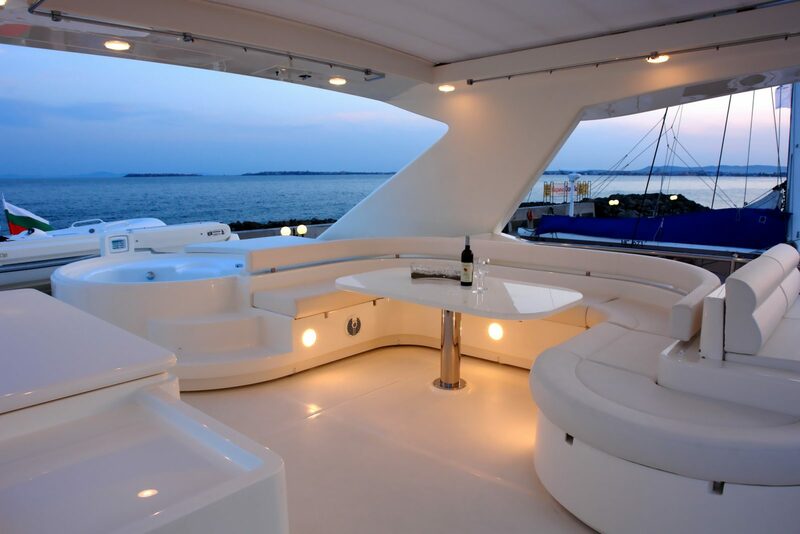 The relaxed and enjoyable atmosphere on board is enhanced by the three large open decks at the front of the yacht. They are ideal for sunbathing with cocktails in hand, against the background of the music coming from the captain’s place. If you like singing, the crew can offer you karaoke. 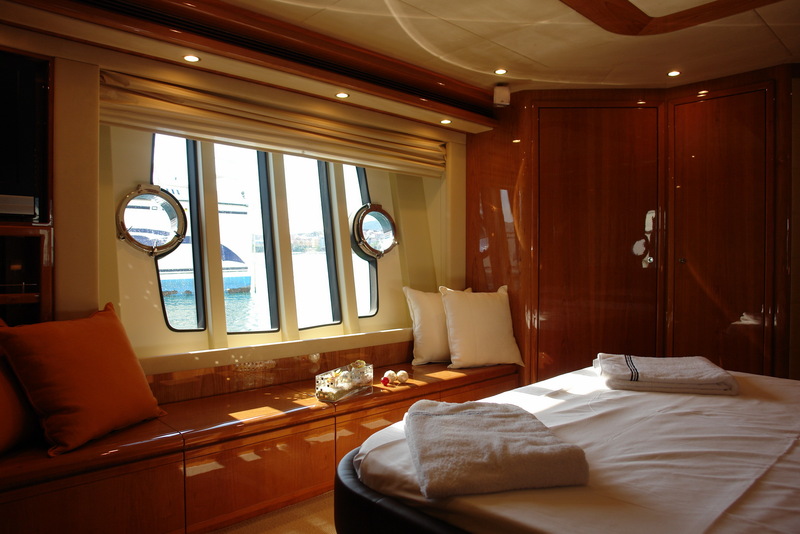 The yacht has 5 cabins with large double beds. For a trip of several days, 8 passengers can be accommodated on board. Any special occasion can be celebrated in a memorable way with flexible organization on the Patriot; birthdays, bachelor parties, anniversaries, team building sessions and, company events. 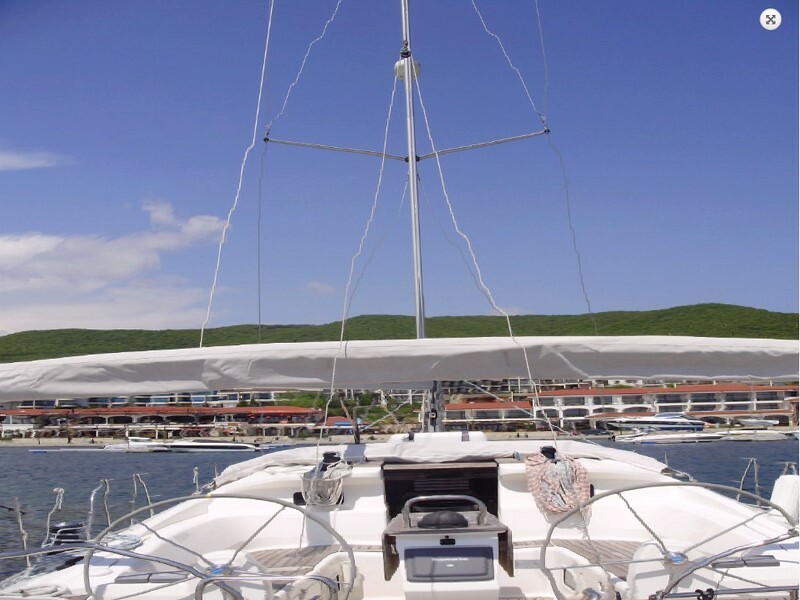 Enjoy yourself with this really different sea adventure by sailing from and back to The Dinevi Marina , the top summer destination in the region. All yachts must be rented with a captain, as this is a requirement according to Art. 34, pt. 2 (1); pt. (3) and Art. 39a from the ‘Merchant Shipping Code’ of The Republic of Bulgaria.